The animation shows 3 detection levels. The SX10504 has 5. 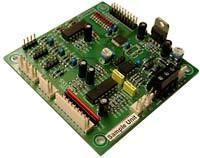 The SX10504 is versatile I/O board for applications requiring fluid level sensing.